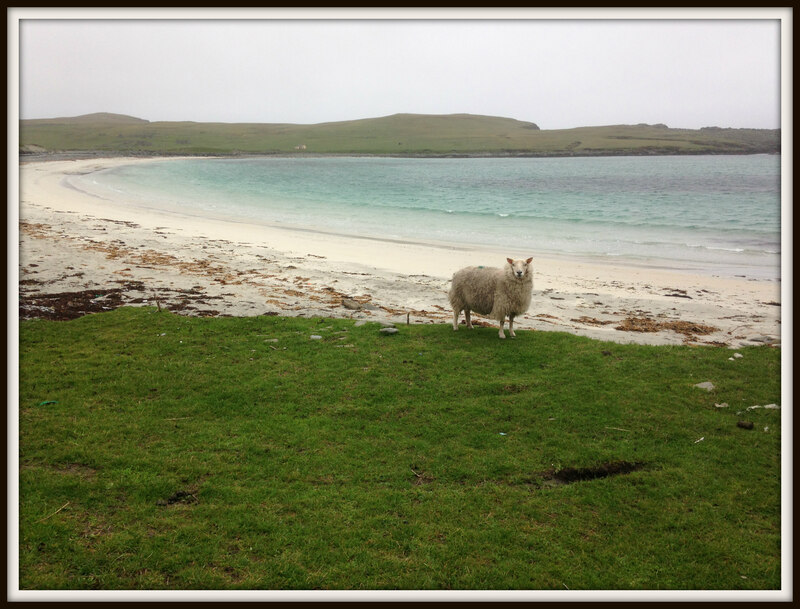 The last time I blogged I was still on holiday in the Northern Isles, and coming home from holidays can be hard, even if you love the place you live. The first few nights back home, I had strange dreams which were like series of pictures from my holiday, framed as if they were in an exhibition. 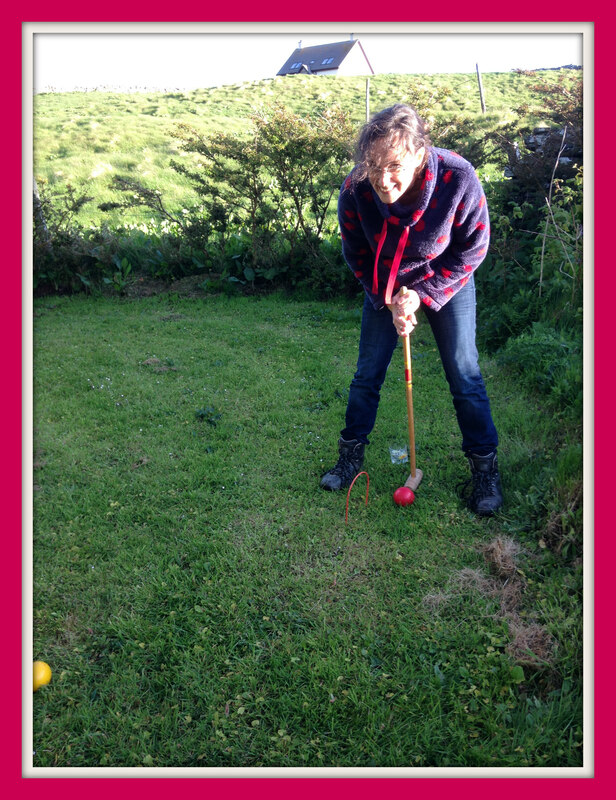 Croquet in my daughter’s Orkney garden – we’re so posh! 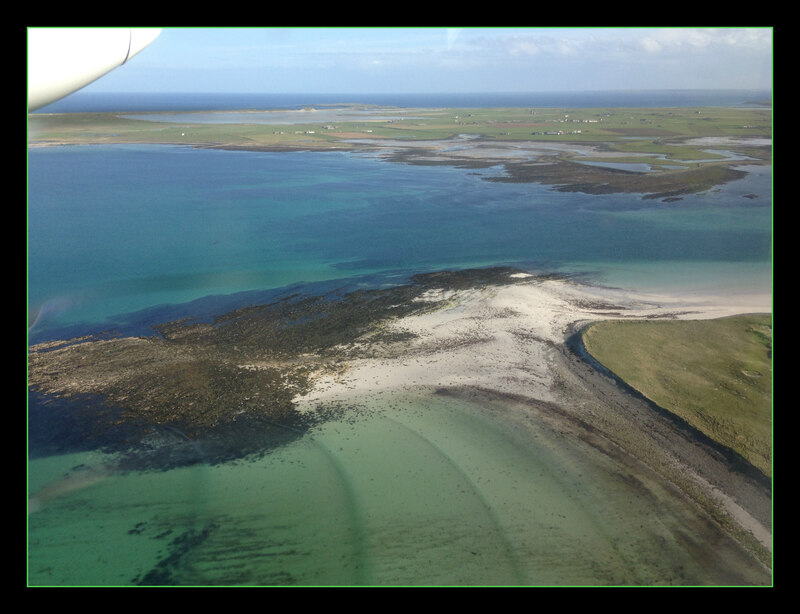 I was home, but feeling unsettled and wishing I was still on holiday – so my dreams gave me a chance to take a final look back and enjoy the wonderful memories. The fact that the images were framed gave them distance, so they felt like memories rather than events I was still involved in. I wonder how often we dream about the places we’ve left, sweet dreams that bridge the gap between where we were and where we are now in the physical, like bridges for our soul to cross when it is ready. Driving back to the house I was staying in last week, after an afternoon walking the coastline of Shetland, I was listening to an item on Radio 4 suggesting that the wonderful natural history programmes we have these days are putting people off actually going out into the countryside and exploring nature for themselves. The contention was that the natural world feels disappointing compared with the close-up images we can see on our screens. Chris Packham, one of the Springwatch presenters, was understandably put out by that argument. He said the motivation behind programmes like his was to inspire people to get out and discover the joy of being in nature, by showing how wonderful the natural world is, and all the plants and animals you might see. I had just seen an otter walk down to the water across the stony beach right in front of me. I would have seen him better in close-up on TV but, having seen the footage of otters on Simon King’s Shetland Diaries a few years ago, I could fill in the detail for myself. I also knew how lucky I’d been to catch a glimpse of such a shy creature. I’d barely started walking again when i came upon a group of seals lying on a small sandy beach. They were less shy, and allowed me to go down onto the sand and sit watching them. Again, in a close-up on TV, I could have seen every detail, but as Chris Packham said, that would not have come anywhere near the excitement I felt at being so close to the animals themselves. Just as Chris Packham is an enthusiast for the natural world, I am an enthusiast for the inner world of dreams. Like him, when I share my own experiences, I want to inspire other people to make their own explorations, and I would hate to think it could actually be putting them off. Not everyone has the time and dedication to devote to one area of experience and most of us like to dip the toe, as I do with my walks in nature. Devoting time and focus will always reap rewards. When I talk about the faceless ones, or numinous dreams, or lucid dreaming I know some people will not have had those experiences, but I hope that simply knowing they exist might inspire them to go looking, or at least recognise them if they chance upon one, and know what they’re looking at, like me and the otter. I’m a great believer in holidays. When you’re away from home, you can see your normal day-to-day life from outside, and it gives you a different perspective. What are you relieved to be away from? How do you chose to pass your days when the constraints of work and other responsibilities are lifted? The answers to these and other questions can surprise you and offer precious insights into fruitful changes you might choose to make when you get home. Holidays are times when you can wake slowly and really savour your dreams. You can carry them around with you during the day, and ponder them in quiet moments. The images you bring home with you will have the same sense of time and place as the physical souvenirs you buy. As a writer, I find the same shift in perspective. Ideas I’ve been working on at home seem different from far away. Sometimes more exciting, sometimes less. They form up in unexpected ways; they show different aspects of themselves to me. I’m sure that’s why so many writers go on writing retreats. You don’t have to go to exotic places or spend a fortune in order to feel the benefits of going on holiday. In fact, like many other people, I usually go to familiar places I love. The point is simply to be somewhere else, to look at things from a different angle for a while, and come back to normal life feeling renewed. Thinking creatively at the bird observatory hostel in shop-free North Ronaldsay recently – petits fours made from prunes and dark chocolate. Not something I’d ever have eaten at home, but surprisingly good! Have you ever found that being away from home gave you new ideas about life, work or dreams? So as well as trusting the flow of ideas if we open our mind by entering the ‘writer’s trance,’ we can also trust that the ideas will organise themselves into the shapes of books and stories. I definitely find this in my own work. When I’m writing, whether it’s fiction or non-fiction, I start with a sketchy plan and head off from Start in the general direction of Finish, wondering how on earth I’m going to get from one to the other, until suddenly I begin to see the shape of the whole thing in my head like a geometrical figure or a pattern of numbers. At that point, I become fully engaged. I dash along like a mad thing, joining the dots to make the beautiful shape of the book I’m creating. 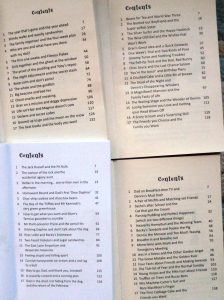 This means all my books have a sort of symmetry in the contents – the four Peony Pinkers, for example, all have 17 chapters. Why 17? I’ve no idea, only that that was the number they needed, and I knew each story was on the right track the moment I could see how it could make 17 chapters. 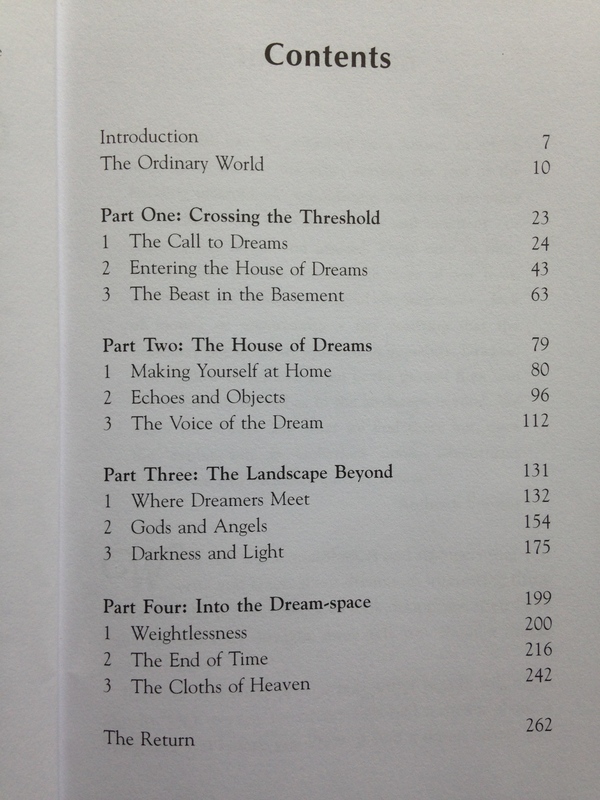 Writing in the House of Dreams came out as four parts, each part having three chapters. 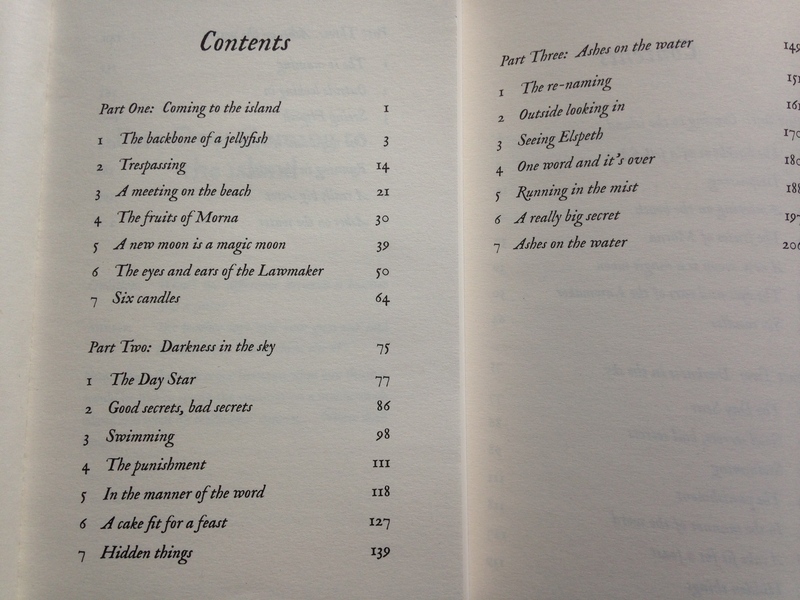 My brand new book, The Binding, has three parts and each one seven chapters. This mysterious geometry is very marked in my own writing practice but not all books divide so obviously into a balance of parts, so it can’t be exactly the same for all writers. Still I imagine there must come a time for everyone when something clarifies in the mind; you see the finished shape of the whole book, and the writing steps up a notch to engage with it. If you are a writer, do you recognise what I’m talking about, or am I just weird?! Is writing a gift or a curse? I think the main gift writing brings me is escape from what is happening in my life at the time… I create a fantasy world instead, one which I can control. If I am happy and living life, I don’t feel the need to write so much. If I am writing a lot, I am not really living. There must be a balance somewhere but the writing does take over sometimes… which makes it less a gift, perhaps, and more of a curse? I absolutely relate to the experience of writing as creating other worlds to escape to when this one feels too hard. It’s been a great blessing for me particularly at times when difficult thoughts and emotions are stopping me from sleeping. Then, I get up and make some tea, turn on my computer and slip into the world of stories just as easily as I would normally be slipping into the world of dreams. All writing takes you away from everyday life to some extent. You can’t socialise and write simultaneously; at times, the world of the story feels far more exciting and interesting than the real world. But that doesn’t feel to me as if I’m ‘not really living.’ It feels as if I am living, and very intensely, but in another life. The experiences I have in imagination – whether in stories I’m writing or in dreams when I’m asleep – are real experiences. As the dreamer in our dreams or the protagonist in our story, we access experience through our senses and emotions, the same as in ‘real’ life. We encounter new people and situations, and we are changed by them. Writing isn’t only an escape from ‘real’ life but also an escape to other lives, and it’s a gift that keeps on giving. Because the story will always, like dreams, be related in some way to whatever is happening in our ‘real’ life, writing is an opportunity to explore and resolve our emotional and practical difficulties in imagination. Story is always an experience of triumph over adversity. That experience can give us faith and strength to face what has to be faced, and often strategies to deal with it. What do you think? Is writing a gift or a curse for you?